After the reception, a meeting was held to discuss the ways of joint cooperation where Prof. Hisham Darwish a faculty member in master program in Molecular Genetics and Genetic Toxuality participated in along with Prof. Mohammed Asia Dean of the Faculty of Allied Science Science and Nursing, Dr. Jumana Jaradat Director of the Medical Center and from Medical Sciences Unit, Dr. Reham Nazzal, and Dr. Ramez Zaid. 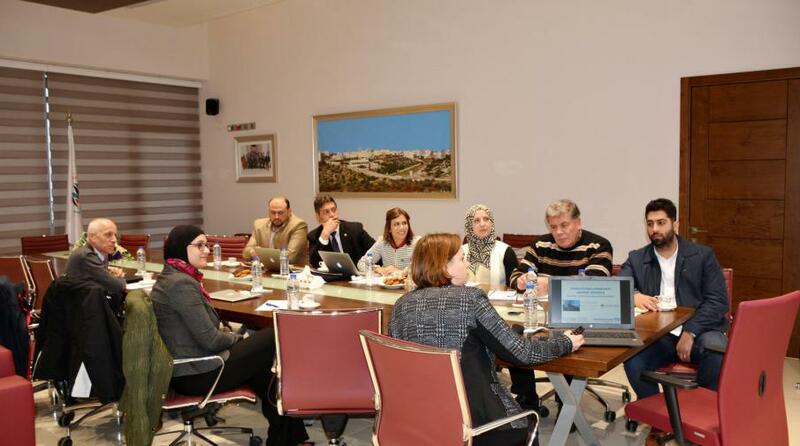 During the meeting, Prof. Darwish talked about the laboratories and the university's research possibilities. Then Prof. Turnbini talked about the Faculty of Medicine at the University of Exeter and the genetic researchs they are supervising. 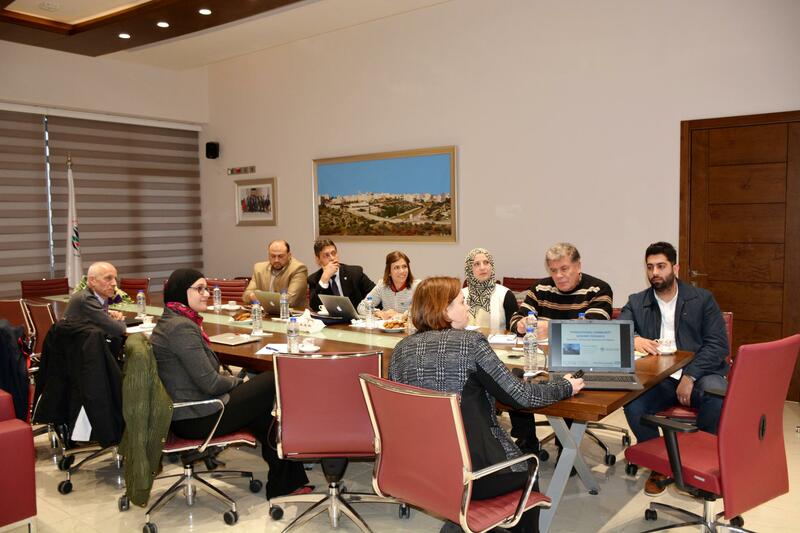 The most successful projects and ideas that could be shared through the university's facilities were also discussed. Followed by an extensive discussion of different projects and ideas that can be worked on together. It is worth mentioning that the University is holding researches about rare diseases with the British University where the two sides are discussing ways to develop the relationship and enhance the cooperation on scientific research in molecular genetics to employ the university’s laboratories specialized in this field. Arab American University has recently opened a medical center and laboratories that provide services, the University also strives to carry out scientific research to serve the Palestinian community by studying rare diseases in cooperation with scientific research centers specialized in this field.